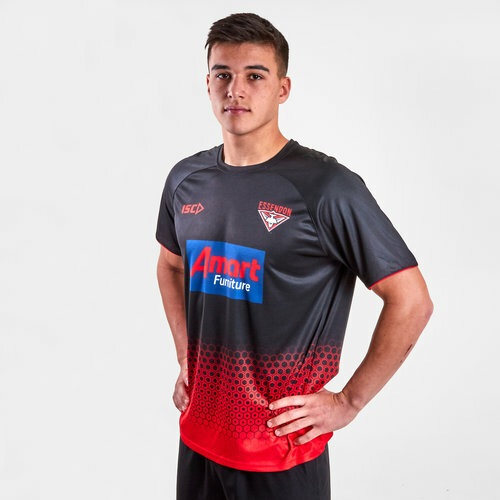 Don your heart on your sleeve when you pull on this Essendon Bombers 2019 AFL Players Training T-Shirt from ISC. Train like an elite athlete in this 2019 Essendon Bombers Training t-shirt. Exactly as the players wear to training, day in and day out. 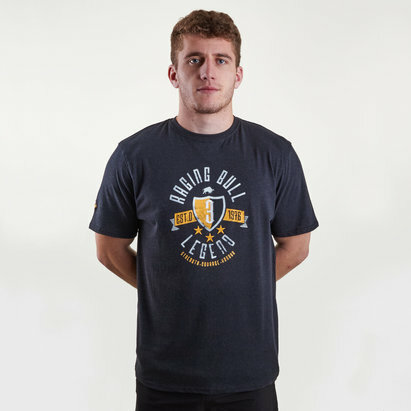 This tee from ISC comes in the same colours as the home guernsey. It is black with red honeycomb detailing at the bottom. This shirt has the club logo on the left side of the chest whilst the ISC logo is on the right. The sponsor - Amart - is across the centre front of the tee.